After I signed my first contract a couple of decades ago, I’ve gone through several phases of fear. 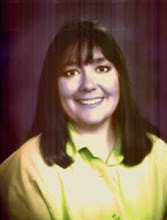 I was scared no one would like my first book; or that no one would show up for my book signing. I needn’t have feared; the book was successful and there was a line out the bookstore door (mostly friends and family, but they count, too). While working on my second book, I had a “friend” tell me that if my first book wasn’t a bestseller, I’d never be able to publish another one. Fear struck again. But my agent sold the second and third books, each within a few weeks of submitting my proposals. I’ve learned not to take unsolicited postulations, opinions, or advice seriously. 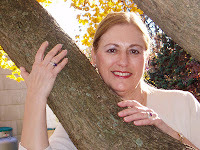 A few years ago, when the book publishing business underwent a drastic metamorphosis, and authors had to do much of their own promotion, mostly via social media, I froze. It was so easy to walk into a bookstore for a scheduled signing, sit behind a table, and wait for customers to come to me. Back then, the publishers arranged most of the signings, radio interviews, and sought out reviewers. I sent out postcards; made a few phone calls; and waited for my checks to come in the mail. And back then, there was no Facebook, Twitter or Goodreads. I read an article that said if I wanted to succeed in this business, I had to connect with media outlets and start a blog. I was afraid I couldn’t learn this new trick; afraid I wouldn’t have enough to blog about; afraid I would do it wrong and look like a fool. All these fears materialized, but my skin thickened and I persevered. Because there’s something new around each social media corner, I’m still learning, but I don’t scream and pull at my hair anymore when I make a mistake because I’m not alone in these endeavors. 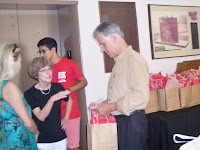 As more of my books made it to the shelves and book signings were becoming things of the past, I realized I also had to get out there and publicly sell my books, which meant speaking engagements. Up until that point, the only pubic speaking I’d done was to my seventh graders. But that was easy because my paycheck didn’t depend on them listening or giving a hoot about what I had to teach. At the time my whooping crane book was released, I scheduled presentations at Audubon chapters, community organizations, libraries, wildlife refuges, and bird groups. 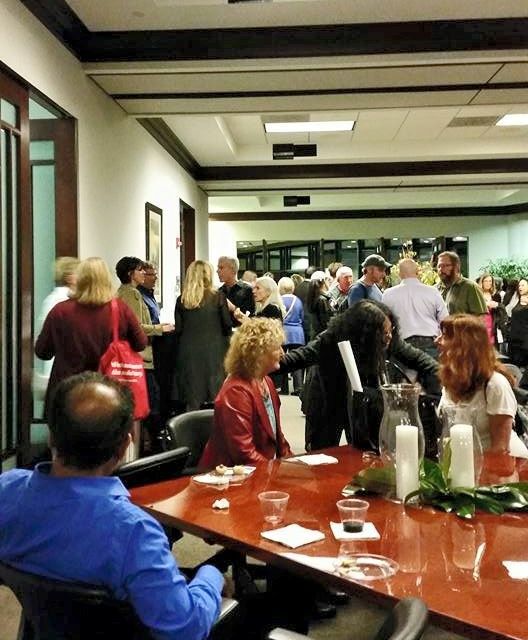 There were about sixty people present at the first event. I was terrified. My guest-speaker part occurred at the end of the meeting, and my presentation went on too long. A few folks fell asleep and a couple more left. But I sold some books and received a lot of complements. I tweaked my presentation and the next time it was easier. Since then the comments have become blushingly wonderful and several organizations have scheduled repeat performances. I’m a regular at a nearby public library. I love what I do. Are the fears all gone? No, and the never will be. There’s always something new to make me shiver. I just signed with a new publishing company. Soon after I became a bit afraid. Will they like me? 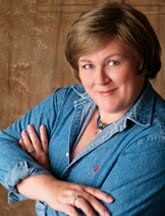 Will my books sell? Will they be easy to work with? Will I have to time to work on two mystery series at the same time? The good thing about experiencing new fears in this business is that they don’t seem to last as long or be as scary. 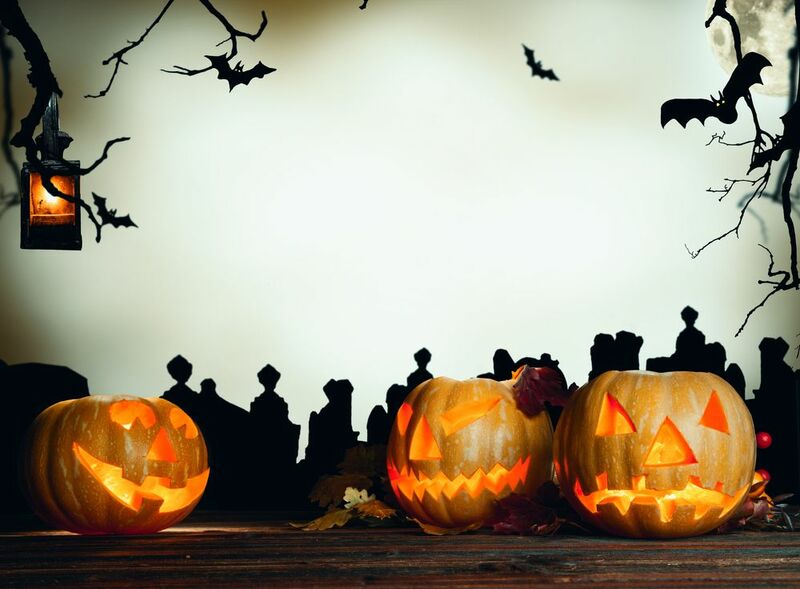 So, be not afraid; and have a happy Halloween. 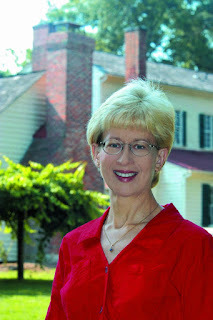 Today my guest blogger is award-winning author Suzanne Adair, whose historical mysteries take place during the American Revolution. 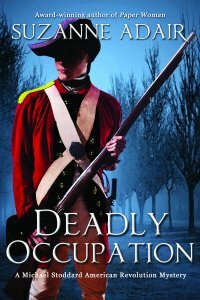 My latest mystery, Deadly Occupation, is set during a true historical event: the bloodless British occupation of Wilmington, North Carolina in January 1781. Bloodless—wait, do I mean that civilians surrendered peacefully to redcoats? Briefly, here’s the historical background. Patriots had controlled North Carolina since 1776 and grown complacent because the fighting was in other colonies. When militia and government leaders first heard that the 82nd Regiment had sailed from Charleston for Wilmington, they disregarded the report. As a result, the British were one day’s march away from Wilmington when patriots realized the invasion was real. High-profile leaders like William Hooper, a signer of the Declaration of Independence, fled—some with just the shirts on their backs. The militia garrisoned in Wilmington, low on supplies, abandoned the city. On the afternoon that the British arrived, about two hundred civilian merchants, artisans, and dockworkers marched out, met the regiment, and laid their firearms at the feet of the redcoats. Several years ago, the editor of a medium-sized, traditional publishing house rejected Deadly Occupation because, in the editor’s opinion, a bloodless occupation wasn’t believable. The editor was certain the civilians would have taken up arms against the redcoats a la “Red Dawn.” Likely most of them would have died, but every last able-bodied man would have fought for glorious freedom. Surely they wouldn’t have surrendered? And surely none of them would have cooperated with the enemy? After all, these were patriots. And that was the story the editor wanted. However it wasn’t the story I’d written. The problem with the editor’s opinion, aside from it being historically inaccurate, is that history is complex because human beings are complex. In a situation like an occupation, you cannot tell which affected civilians will wind up in the Good Guys Camp or the Bad Guys Camp. Furthermore, many of Wilmington’s civilians were neutral. They didn’t care who was in charge as long as their lives weren’t interrupted. We never hear about neutrals, however they tend to comprise between a third to a half of a civilian population during a war. Here are two reasons why I resist tampering with true historical events for the sake of a mystery plot. Reason #1: I’ve found that the actual history provides far richer ground for digging up reasons for murder than any fictional backstory. In occupied Wilmington, the civilians who remained in town and surrendered were paroled to not take up arms against King George—but how many of them resented that or were shamed by it? How many lost business because some of their clientele had been patriots, or because a competitor outbid them for a contract job with the British? How many found the normal flow of their business restricted by rules and regulations imposed by the regiment? Or were involved in activities on the sly that they might not want the redcoats to know about? Or got swindled by the British? Or were secretly patriot sympathizers? You see what I mean? Allowing the real history to dictate a fictional character’s motivation for criminal activity confers period authenticity upon your mystery by making the crime an organic result of actual events. Reason #2: A few months ago, the South Dakota legislature announced that the state’s high school history teachers are no longer required to teach about American history. Many other states have adopted a “squeeze it in where you can” approach to history (and science). Increasingly Americans aren’t learning about history in high school, but through reading works of historical fiction. In fact, readers have informed me that they’ve learned about history from my books. Some have gotten so excited by the history there that they research it themselves. So I make my books as historically accurate as possible. Mystery, like history, is all about understanding the wants and needs of people today. Real history provides plenty of motivations for murder. Fake history takes the punch out of your historical mystery. So when you’re writing historical mystery, tell it like it was. Or better, show it like it was. Award-winning novelist Suzanne Adair lives in Raleigh, North Carolina. Her mysteries transport readers to the Southern theater of the American Revolution, where she brings historic towns, battles, and people to life. She fuels her creativity with Revolutionary War reenacting and visits to historic sites. When she’s not writing, she enjoys cooking, dancing, hiking, and spending time with her family. Just Whose Side Are They On, Anyway? I’m angry. Again. But this time it is something that really affects all of us and our industry. "…the purpose of copyright law is not to guarantee authors a living, nor is it to give them exclusive control over who uses their work and how. The purpose of the law is to provide an incentive for people to create artistic works because doing this benefits society." That kind of thinking smacks of the old idea of writers as starving in a garret while writing something just for the purpose of creating something for the ages. Yes, I know there are some people who call themselves writers who do write for no purpose other than wanting their deathless prose to be read by the general populace, but (and I’m getting snarky here) they usually aren’t very good writers, just wannabes who want to be thought of as a published author no matter what. And they certainly aren’t professional writers. Most writers I know write not only because they love it, but because it is their job. They expend effort and creativity, and deserve fair recompense. If someone can just come and take something we have worked to create and give it away to all and sundry without our permission or profit, why should we do it? To benefit society? Give me a break. Try that booshwah on a plumber. Or a carpenter. Or a stock broker. Or just about any other field. I do not write to benefit the public. I write because it is my work, and from it I earn my income. To remove control of a writer’s work from the writer and make it free to the public might benefit the public in the short term, but what happens when the working professionals quit writing because they no longer earn even part of a living from it? Obviously the gap will be filled with those writers who do write just so that people can read their words and thoughts without regard for a career or proper recompense. Some of them might be good, but I’ll bet that most won’t. And that dissolution of standards will truly not be to the benefit of the public or even to literature itself. Today on some of my writers loops there were attorneys doing apologia for this, saying that this was nothing new, that ‘fair use’ has been part of the law since the days of the Constitution. Perhaps it has, but that does not necessarily make it right. One thing that became evident is that there is no legal definition of ‘fair use.’ Is it a basic premise? An overarching idea? A phrase? A catchphrase? What? And even if it has been around from the beginning, I’m not sure writers are helped or protected by this sad legal situation being publicized. This misbegotten ruling eviscerates the very concept of copyright, is a complete negation of the principle of copyright. Several someones have suggested that perhaps we should stop copyrighting our books with the government. At $35 per registration and with all the books being published now, that could add up to a fair amount of money. They have suggested that hitting them in the pocketbook might make the government re-think the proposition. I disagree. Monetary concerns might work with a private entity, but our government seems to thrive on overspending and then simply printing great amounts of money to make up for it. The few hundred thousand such a boycott would generate wouldn’t even be noticed. Besides, in cases of theft and/or piracy by others than the government-sanctioned ‘fair use’ crowd, you have a much smaller chance of justice and fair recompense if your work is not copyrighted through the government. The writer is going to be screwed either way. We created our books and our characters. They are our property, and we should be in control of how and when and under what circumstances people have access to them. Writing is work, and the hire should be worthy of the work and the workman. I've definitely written my share of spooky books. I've always been fascinated with haunted houses and things that go bump in the night, and that's probably why I tend to write about such things. My very first mystery, The Astral Gift, was about a young woman with the ability to astral project but unable to control it. 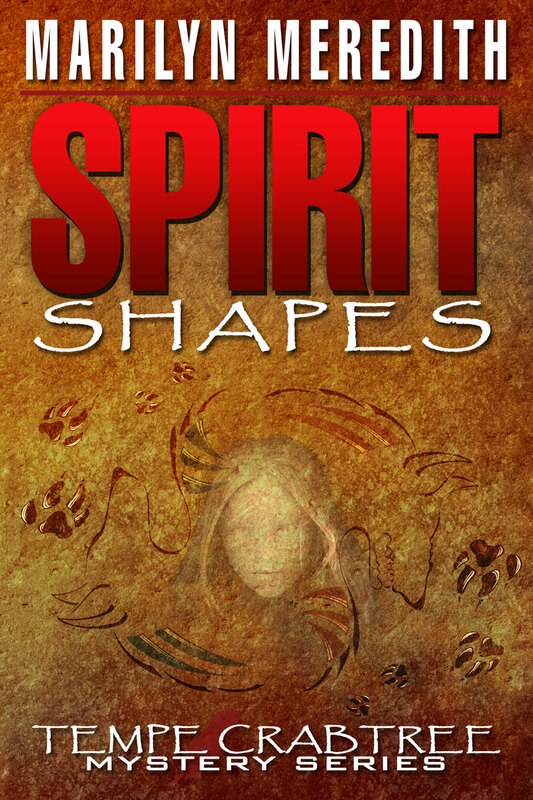 One of my favorites is more of a romance--though there are mysterious elements is Lingering Spirit. And of course, there is a ghost. I even ventures into the spirit world with my Rocky Bluff P.D. 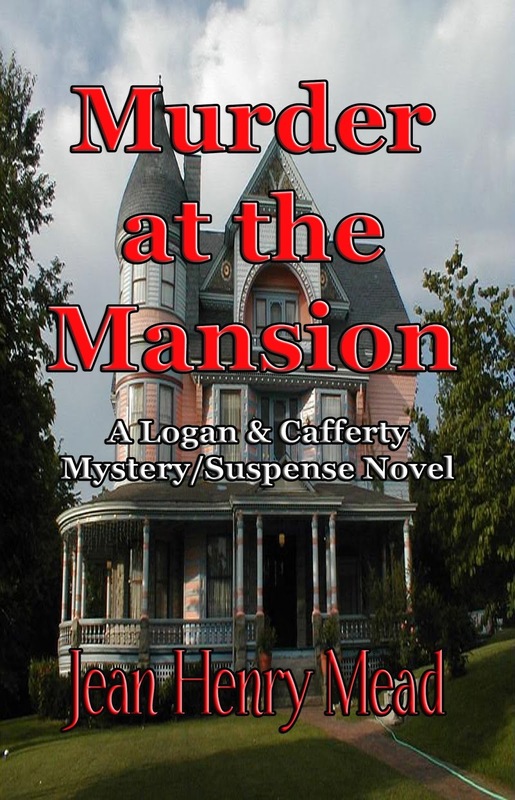 series with Violent Departures, when Detective Milligan and his family move into a haunted house. 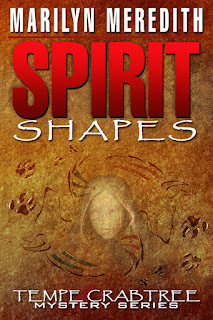 And of course, all of the Deputy Tempe Crabtree mysteries have some form of supernatural goings on--but when it comes to haunted houses, Spirit Shapes has the most haunted house I've ever conjured out of my imagination. Over the years I've had a lot of fun writing spooky stories. 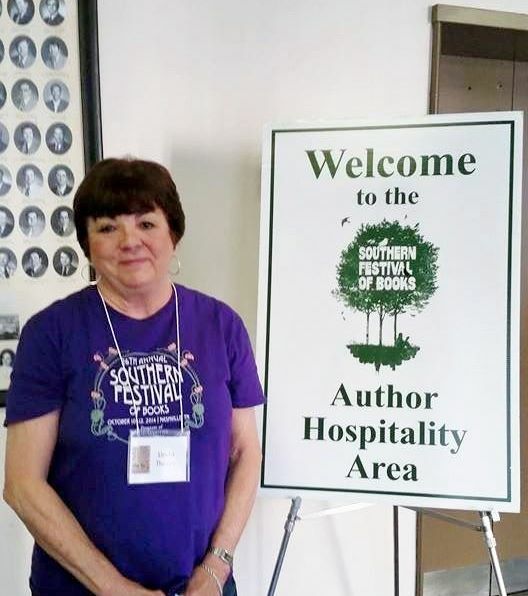 It happened last weekend at the 27th annual Southern Festival of Books, and I'll get to why in a minute. 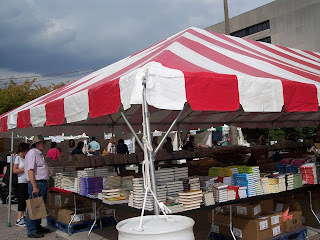 My husband and I moved to Nashville in late 2007 and didn’t know about the Southern Festival of books right away. I attended the first time in October 2009 and have gone every year since. It has always been a wonderful time for me, but this year was a first. I had an author’s badge and I got to speak on an author’s panel. Hard to pull off because my debut novel just came out August 29th. 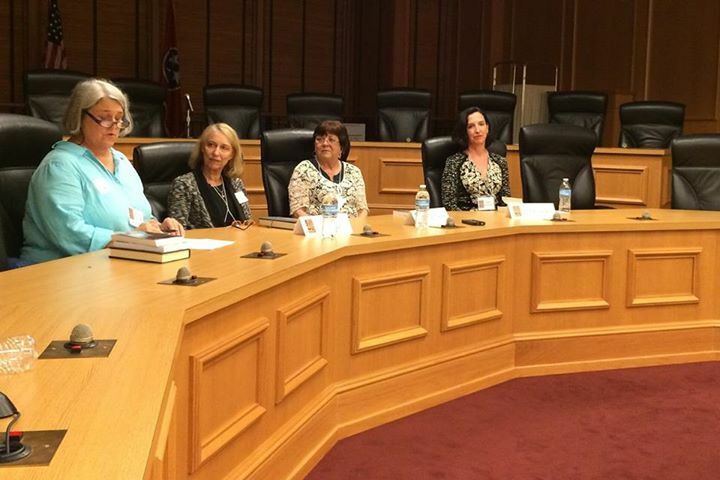 Humanities of Tennessee puts on the Southern Festival of Books and has submission requirements and a deadline. I had to move fast to meet it. The director, Serenity Gerbman, made some helpful suggestions when I told her about my timeframe plight. 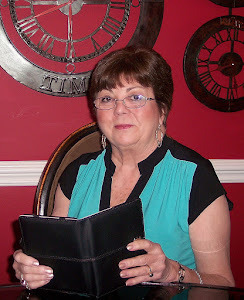 My publisher, Black Opal Books, gave me galley material faster than normal. I submitted my material literally on the last day I could. I made sure the last-chance postmark was clear on my package. 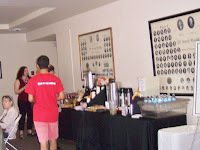 Every year I’ve attended, I’ve peeked into the author’s hospitality room wanting so much to join the participating authors. This year I got in and stopped by at one time or another all three days. 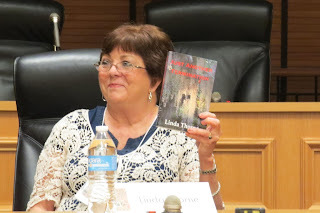 On the first day of the festival, Friday October 9th, I was on a panel called Who Can You Trust: Three Mysteries with authors Phyllis Gobbell and Elise Blackwell. 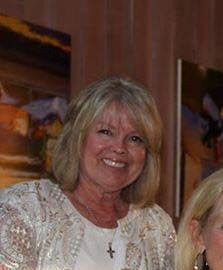 Our moderator, Barbie Chadwick, was fun, so if I got boring, I felt I had a friend who could jump in. My novel is my first, Just Another Termination. After the panel, I joined Phyllis and Elise at the Signing Colonnade on War Memorial Plaza. Parnassus Books set up this signing for the three of us. Anyone who wanted to buy our books had to go to the tent where Parnassus sold books for all of authors’ participating in the festival. Needless to say, my book had lots of competition. Parnassus took some back with them to sell at their well-known Nashville bookstore. On Saturday night, I went to the author’s party held on the 27th floor of the Nashville City Center. It felt good to hand them my invitation to join in. You could go out on the balcony and see the city of Nashville from really high. There was a band, food and drink. I don’t know how well my book, Just Another Termination, is doing. It was only released a month and 1/2 ago. I have no figures yet, little feedback. I think I got some real help though in getting accepted in such a last minute rush to participate in this year’s Southern Festival of Books. It was a great time as always, but this time was my best experience ever. This just in! I learned I have another author's panel on Friday October 30th at the Killer Nashville Conference starting at 10:00 a.m. The title: Debut Novelists. That's me. I'll tell you how it goes next month. Weather can serve as an antagonist in any novel, whether it's mystery, suspense, thriller or other genres, and I've used precipitation in all its forms in my own books. In my first mystery, A Village Shattered, the opaque San Joaquin fog hides a serial killer, but I didn’t even think about the fog until I was writing chapter three. Having lived in the valley for a dozen years, I know the horror of driving in pea soup (tule) fog, so I switched seasons and returned to chapter one to add fog to the plot. In doing so, it tied all aspects of the story together. In Diary of Murder, my second mystery, I took my sleuths out of California and placed them in a motorhome in the middle of a Rocky Mountain blizzard. Fortunately, I had actually experienced the mishap so I could write convincingly about it. The blizzard starts the novel off with suspense, but my sleuths face a similar fate later in the plot, so I had to swap some snowy details between the first and later chapters to prevent repetition.Weather plays a large role in any northern state, and can provide an element of danger. Murder on the Interstate follows with Dana Logan and Sarah Cafferty getting caught in a flash flood in Arizona, where their rented Hummer is swept away. That actually happened to a friend whose experience convinced me to add the downpour to my storyline. Snow also presents a problem for my intrepid amateur sleuths in Gray Wolf Mountain where they track a shooter who kills not only wolves but people. Victims of the shooter themselves, the two women are rescued by a quirky old man who rescues wounded wolves and nurses them back to health. Murder in RV Paradise is set in Texas where the sun can fry tortillas on the hood of one's pickup truck. When my senior sleuths pull a woman's body from one of the small lakes the day of their arrival, they have to deal with not only the heat but suspicion that they committed the murder. And, finally, Murder at the Mansion finds Dana and Sarah fleeing a killer in Wyoming after a tornado destroys Dana's mansion. The two women wind up in a snowy backwoods cabin in the Alaskan outback where they find themselves in even greater danger. 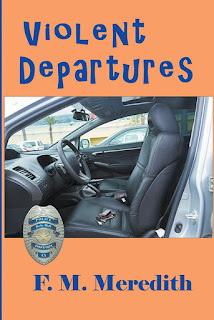 My trip to Fairbanks, where I experienced an ice storm and extreme cold, helped to bring this sixth and final series novel to a suspenseful conclusion. I had heard before I wrote my first novel that you should never start your book with weather, but I've found that severe weather can enhance a mystery/suspense novel by fine tuning characters' reactions to it. Man or woman against nature has always intrigued readers. I’ll be upfront about this – I hate sales/solicitation calls and think that they should all be banned, even political and charitable ones – everything except debt collection. I also think that any robo call – anywhere, any time, any kind – should be illegal. But now I’m mad. I was sitting at my desk today, typing away, and the phone rings. That’s unusual in itself, because our phone seldom rings during the day. I answered, only to hear the chirpy voice of a robo call. I immediately disconnected, then thinking that since I had been interrupted anyway, I might as well make a necessary call to my husband. I hit the ‘call’ button, but before I began to dial, I heard that same chirpy robo voice – and it was starting from the exact place I had disconnected. Wanting to be sure of this, I listened carefully and then disconnected again. I waited a few moments, then clicked the talk button again… and the pitch started up at exactly the same spot where I had clicked off. This happened two more times. Only when the spiel was over was I allowed to use my telephone again. Neither was this a single-time fluke – I have had two more robo calls since that first one and they behaved exactly the same way. It’s bad enough for these advertisers to use the telephone line for which I pay and then interrupt whatever I happen to be doing to tout their products/services whether I am interested in them or not, but how DARE they block my line and keep it from my use! Putting my rights as the line holder aside, what if I had to call 911? They could have been putting me or someone else in danger. No one should have that right. Live calls, robo calls, charitable solicitations, political calls - they all should be illegal. No exceptions. The Do-Not-Call lists were a great idea, but they are sublimely ineffectual. If they are not just plain ignored, they are useless in the one-number-after-another automation of the robo calls. I have reported all of these advertisers (pests!) to what was basically a great big yawn. Such calls are also basically stupid. I mean, who is going to buy something just because an anonymous recorded voice or even some chirpy live person tells them to? I certainly wouldn’t. (For years I have had nothing to do with any company/service/whatever that bothers me on my telephone in my home.) If I need something, I go look for it, find the best quality, research the best price and then decide if I want to purchase. A recorded voice telling me I should buy something when they have no knowledge if I want or even need it insults my intelligence. For example, the last pest call was for carpet cleaning. We don’t have any carpet at all in our house – only hardwood. They don’t care. It’s just scattershot marketing calling one number after another, with the hope that sooner or later they will stumble across someone stupid enough to buy whatever it is they are pushing. I do have a fantasy that someone somewhere will invent an electronic device that when clicked will instantly deactivate the robo machine, preferably for several days at least. I’d say destroy it, but that would be most definitely illegal - pity. On the other hand, even as angry as I am, my writer’s mind has kicked into high gear. What if my character did have to call 911, but could not because of one of those d****d robo calls? What if he died because of it, but the investigation was skewed because no one can tell why he didn’t call for help? So many people have their internet and telephone and cable and even security alarm tied together; what if the robo call is a Trojan horse that limits the channels they can get on their TV, reprograms their security system or invades and pillages their computer? What if the robo call is a ‘click’ that turns a secretly programmed person (who probably doesn’t know he’s been compromised a la The Manchurian Candidate) into an unwitting assassin? The possibilities are endless. 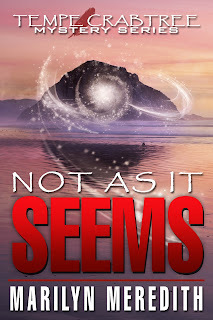 With the end of my blog tour for Not as it Seems my online promotion is slowing down. I have a winner to have a character named after her in the next Deputy Tempe Crabtree series--and I've come to some conclusions about how I'll go about a blog tour for my next mystery. Now, with the holiday season coming, I'm booked for several book and craft fairs. This coming weekend I'll have a table at the Great Valley Bookfest in Manteca. (Saturday, October 10 from 10 to 4.) It's held outside near the Bass Pro store.This will be my 2nd time there. 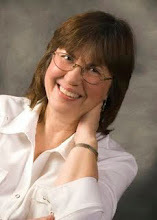 I'm also giving a talk at 10:30 a.m. about writing and sustaining a mystery series. The following weekend on Saturday, October 17, from 10 to 4, I'll be in my publisher's booth at the big art festival in Visalia (downtown near the Bank of America). It's my second year for this one too. On Friday and Saturday, November 6 and 7, from 10 to 5, I'm participating in the Porterville Art Association's Holiday Boutique with a table in the Porterville Art Gallery, on Main St. I may have a booth at the White Barn in Springville on Saturday, December 5, but that isn't finalized yet. This is a great time to take advantage of the fact people are buying gifts for their friends and family and what's more unique than an autographed book.